In a newly published study, researchers from Harvard University, Sandia National Laboratories, and MIT reveal a new technique for creating targeted defects in diamond materials. 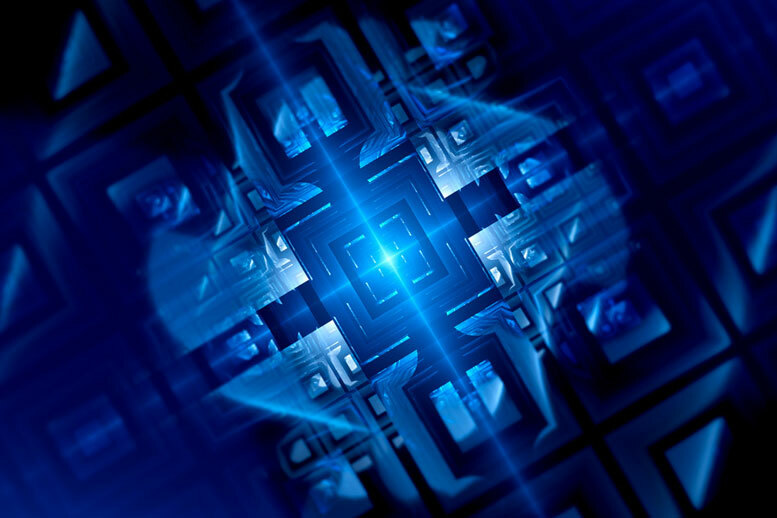 The new process for positioning quantum bits is simpler and more precise than its predecessors and could benefit diamond-based quantum computing devices. But practical, diamond-based quantum computing devices will require the ability to position those defects at precise locations in complex diamond structures, where the defects can function as qubits, the basic units of information in quantum computing. In today’s of Nature Communications, a team of researchers from MIT, Harvard University, and Sandia National Laboratories reports a new technique for creating targeted defects, which is simpler and more precise than its predecessors. The new paper has 15 co-authors. Seven are from MIT, including Englund and first author Tim Schröder, who was a postdoc in Englund’s lab when the work was done and is now an assistant professor at the University of Copenhagen’s Niels Bohr Institute. Edward Bielejec led the Sandia team, and physics professor Mikhail Lukin led the Harvard team. Quantum computers, which are still largely hypothetical, exploit the phenomenon of quantum “superposition,” or the counterintuitive ability of small particles to inhabit contradictory physical states at the same time. An electron, for instance, can be said to be in more than one location simultaneously, or to have both of two opposed magnetic orientations. Where a bit in a conventional computer can represent zero or one, a “qubit,” or quantum bit, can represent zero, one, or both at the same time. It’s the ability of strings of qubits to, in some sense, simultaneously explore multiple solutions to a problem that promises computational speedups. Diamond-defect qubits result from the combination of “vacancies,” which are locations in the diamond’s crystal lattice where there should be a carbon atom but there isn’t one, and “dopants,” which are atoms of materials other than carbon that have found their way into the lattice. Together, the dopant and the vacancy create a dopant-vacancy “center,” which has free electrons associated with it. The electrons’ magnetic orientation, or “spin,” which can be in superposition, constitutes the qubit. To be readable, however, the signals from light-emitting qubits have to be amplified, and it has to be possible to direct them and recombine them to perform computations. That’s why the ability to precisely locate defects is important: It’s easier to etch optical circuits into a diamond and then insert the defects in the right places than to create defects at random and then try to construct optical circuits around them. In the process described in the new paper, the MIT and Harvard researchers first planed a synthetic diamond down until it was only 200 nanometers thick. Then they etched optical cavities into the diamond’s surface. These increase the brightness of the light emitted by the defects (while shortening the emission times). 1 Comment on "New Technique Could Benefit Diamond-Based Quantum Computers"
And after the introduction of quantum computers the next problem is keeping the AI computers from taking us over.